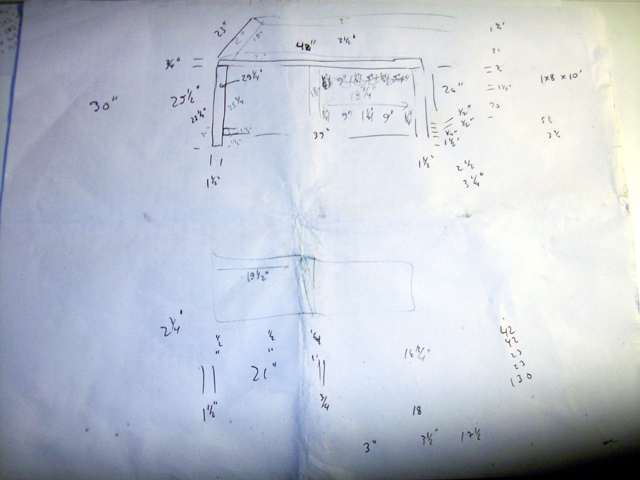 This page documents the design phase of the project. 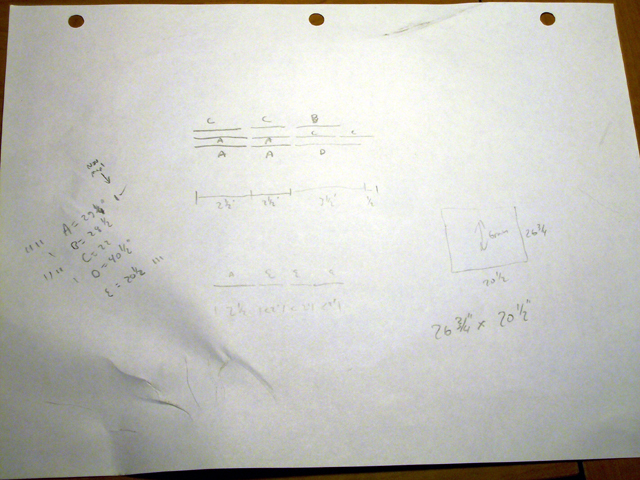 After measuring my existing computers to determine what dimensions I needed and measuring the current furniture in the computer room, I made some rough sketches of what I was planning to build and then a more detailed drawing. I also made some drawings to determine how I would need to cut the wood I bought in order to produce the parts I needed. 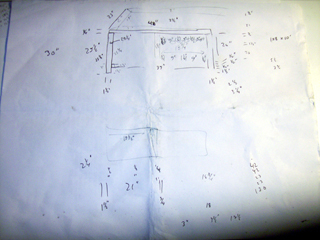 The initial sketch made during design of the cabinet. 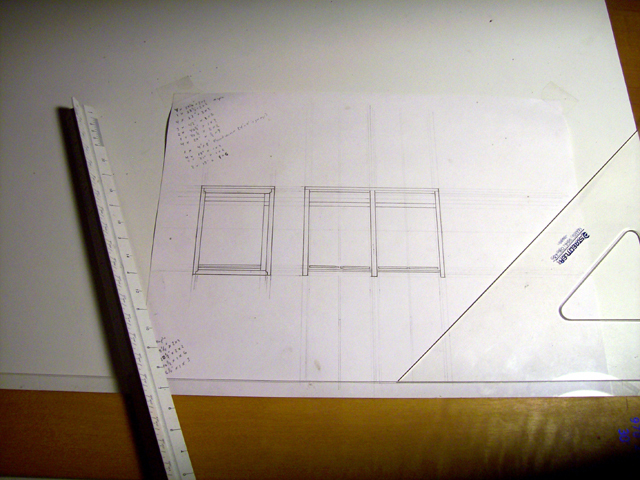 The detailed drawing made during design of the cabinet. The sketch made to develop the details of the doors. 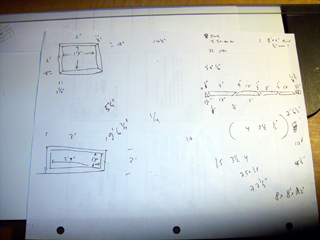 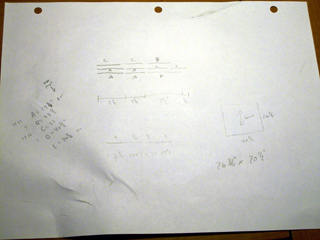 The sketch created to determine the proper way to cut the large piece of wood to create the legs of the cabinet.